The days of simple slot machines with three mechanical reels and a single pay line are long gone. In their place is a world of diverse and exciting games with special features and beautiful graphics designed to appeal to a wider audience without alienating long-time slot aficionados. These days, you’ve got your pick of hundreds of machines no matter which casino you decide to visit, and choosing the right slot for your preferences can be a serious task. To better understand how to find the best slot for your needs, we’re going to boil modern slots down to their distinguishing features. It’s important to remember that these features are primarily differences in play style rather than odds. Whether you prefer a simple slot with a single pay line or a modern video slot with 50 paylines, the chances of coming out on top are practically impossible to determine without a little trial and error. While determining the exact payouts on a machine is tough, there are some hard and fast rules you can use to guide you in the right direction. The first is that larger denomination machines typically offer better returns. For this reason, conventional wisdom says to play the slot with the highest denomination that your bankroll can handle. However, that may not always be the best idea. Consider, for example, a 5-coin nickel machine that pays out 90 percent versus a 2-coin dollar machine that pays out 98 percent. Going off these odds, you’ll lose $18.75 per hour on average with the nickel machine, but you’ll lose $30 per hour on the dollar machine. This doesn’t account for hot streaks or big wins, but it paints an interesting picture. The moral of the story is that there are no hard and fast rules that apply to every player. Find a machine that you enjoy, and take a seat. The simpler the game, the better the odds. This is because fancy slots with video screens and free game features take up valuable time in which players aren’t spending any money. In exchange for this time, casinos up the house edge on these machines, making up for time that would otherwise be spent on another spin. With this in mind, it seems like players would turn almost exclusively to simple, physical-reel machines, right? Well, not really. To understand why, you’ll need to take a close look at why you’re playing slot machines in the first place. Most people who gamble don’t do so to make money (though this is certainly a perk of the hobby), they play for entertainment. 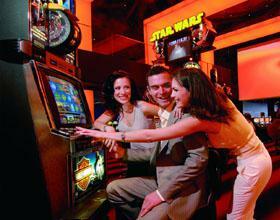 In this vein, video slots with colorful graphics and exciting features make a trip to the casino more fun. Sure, the odds are often a little worse, but it may be a disadvantage that’s worth accepting. There’s no perfect slot, just the slot that fits your specific preferences. Figure out what those preferences are, and you’ll be well on your way to finding a great machine. We’ve all seen that old cinematic trope of the grandma who stands idly by as the main character feeds coin after coin into a slot machine. Eventually, the player decides to cut their losses and walks away, only for the grandma to take a seat and hit the jackpot within a couple of spins. At this point, the main character begins to see red. After all, the grandma carefully calculated when the slot would hit a hot streak and stole his jackpot, right? Wrong. 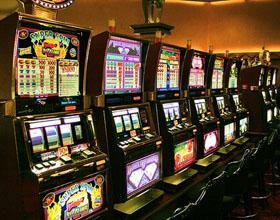 Slot machines are built on a complicated piece of technology known as a random number generator (RNG). This program’s purpose is to decide your fate on each spin, but it doesn’t stop there. The RNG is constantly creating results, even when a slot isn’t being played, in order to create winning (or losing) combinations. Despite all of this randomness, some slots pay out better than others. Casino operators set a payout percentage that determines what percentage of wagers are awarded to players in the form of winning combinations. A loose machine may payout as much as 99 percent of all wagers, while a tight slot can pay 93 percent or less. These odds can get even worse outside the casino. Slots in grocery stores, service stations, bars and airports often have paybacks as low as 50 percent. For the best odds, stick to casinos for your slot fix. At this point, you may be wondering how to find the loosest slots on the floor. The bad news is that there’s no clear strategy. Sure, people have developed theories as to the position of the best slot machines. Clark Griswold famously surmised that “they always put the machines that pay off the most right in front,” but he also lost the family nest egg during his time on a Vegas Vacation. The truth is that finding a loose slot machine is an exercise in patience. Trial and error will be key, so take your time and have some fun! Finding the perfect slot is a bit of an oxymoron. By design, different slots offer unique advantages designed to appeal to the specific preferences of individual players. One example of these differences lies in the existence of jackpots. Some slots have no jackpots, which means that the payback percentage is equally distributed between every spin. If a particular slot offers a jackpot and has a payback of 95 percent, then you can expect a healthy percentage of that payback to be saved for one big win. Some players prefer the chance to experience the thrill of a jackpot win, some prefer to win smaller sums more often. There are no wrong answers here. Whatever your preferences, the only way to find the perfect slot for your tastes is to try a few. Pick a slot or two from Palace of Chance’s extensive library of slots, and test the waters. With a little luck, you’ll find the perfect machine for your preferences in no time!